March 24, 2017  The eclectic Brooklyn singer's new album, Regina, takes inspiration from Queens of all kinds — historical, mythological and the one led by Freddie Mercury. April 18, 2015  Stevens says it was hard to let go of her quest for perfection. But after a long creative process, Perfect Animal ended up "exactly how it was meant to be." 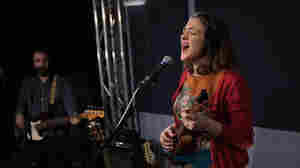 September 27, 2011  Three of today's top jazz vocalists keep open lines to singer-songwriter folk and modern R&B. 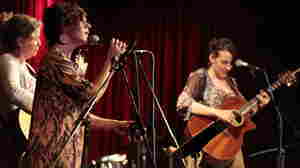 Together, Rebecca Martin, Gretchen Parlato and Becca Stevens sing and strum their trio arrangements of original tunes and select covers.